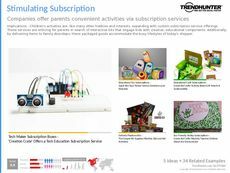 Find Better Ideas, Faster ® with a custom kid's packaging trend report, our PRO Dashboard and 80+ categories of premium trend reports. 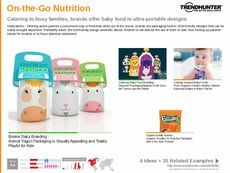 The Kid's Packaging Trend Report is a collection of new and innovative packaging designs that appeal to youthful demographics. 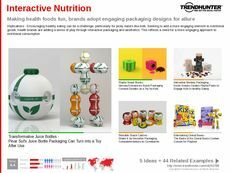 Using Trend Hunter's crowdsourced research to gain insights on new concepts, we provide valuable examples of the newest packages. This report also highlights seasonal influences, designs and themes used to attract children and the parents that make purchasing decisions on their behalf. 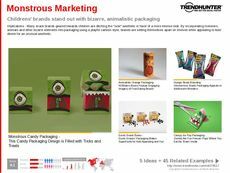 Marketing consultants and brand managers can use this report as a guide to investigate the latest methods of packaging and designs. It can be used by various industries from toy manufacturing companies to snack food brands and school supply producers. 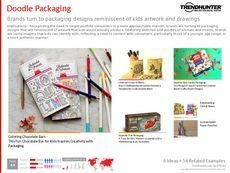 Use the Kid's Packaging Trend Report to investigate the best practices to use when creating new designs geared towards young groups.